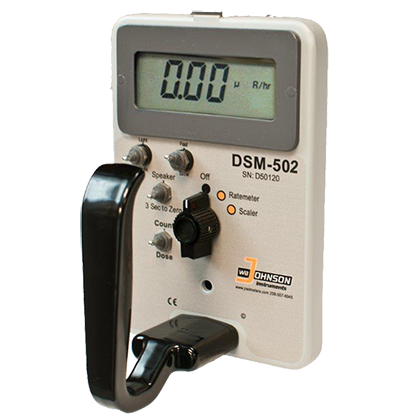 The DSM-502 boasts an oversized digital display. 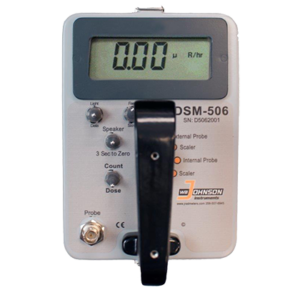 It has a unique counts to dose capability allowing the user to quickly change from count rate to dose rate and back by the flip of a toggle switch. 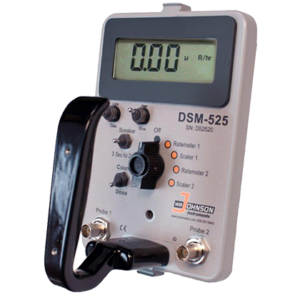 Other features include a scaler for counts per unit of time, display error indications and audible/visual ALARMS. 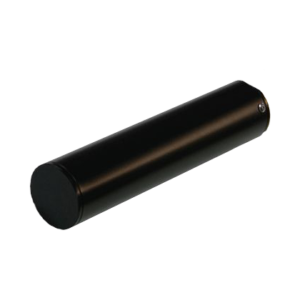 The internal Energy Compensated GM Tube has a dose rate range of 50 μR/hr-2000mR/hr.